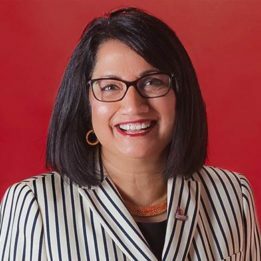 Neeli Bendapudi is the 18th President of the University of Louisville. She received her Ph.D. in Marketing from the University of Kansas and has taught at The Ohio State University and Texas A&M University. She most recently served as Provost and Executive Vice Chancellor at the University of Kansas, where she had previously been Dean and H.D. Price Professor of Business at the KU School of Business. Professor Bendapudi specializes in the study of consumer behavior in service contexts. Her research deals with customers' willingness and ability to maintain long-term relationships with firms and with the brands and employees that represent them. Her research has been published in top tier journals including the Journal of Academic Medicine, Harvard Business Review, and Journal of Marketing, and featured by popular media outlets including the New York Times, CNBC, CNN, MSNBC, WebMD and Fox News Network. She has experience on public and private boards and served as EVP and Chief Customer Officer of Huntington National Bank. Her vision is to ensure that the University of Louisville a great place to learn, a great place to work, and a great place to invest, because it celebrates diversity, fosters equity, and strives to achieve inclusion.